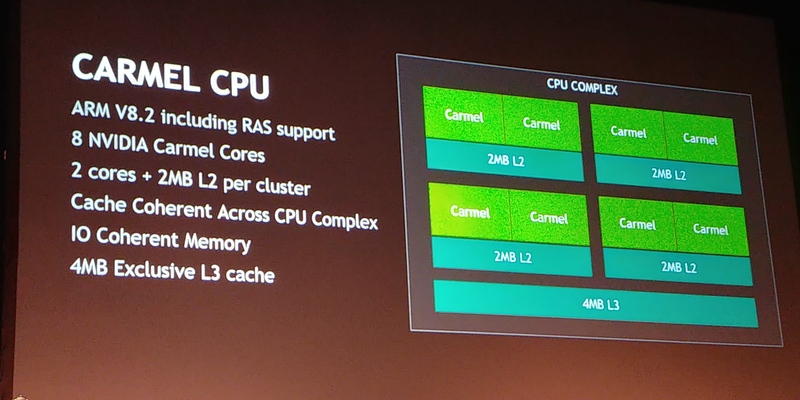 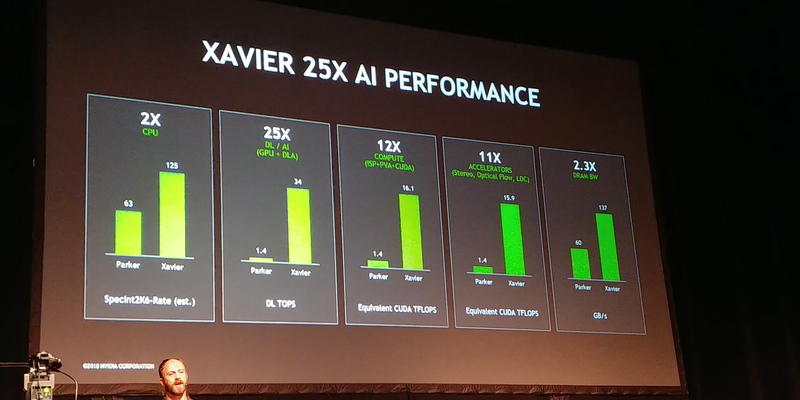 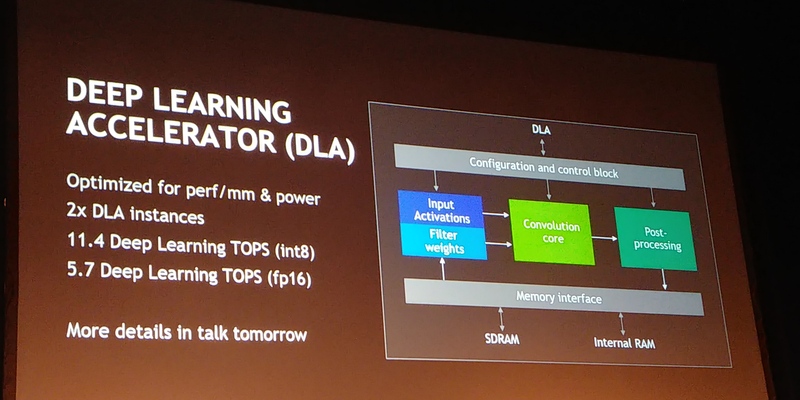 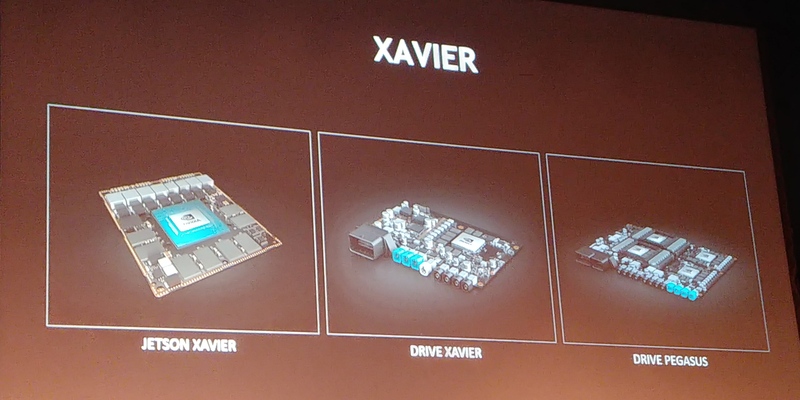 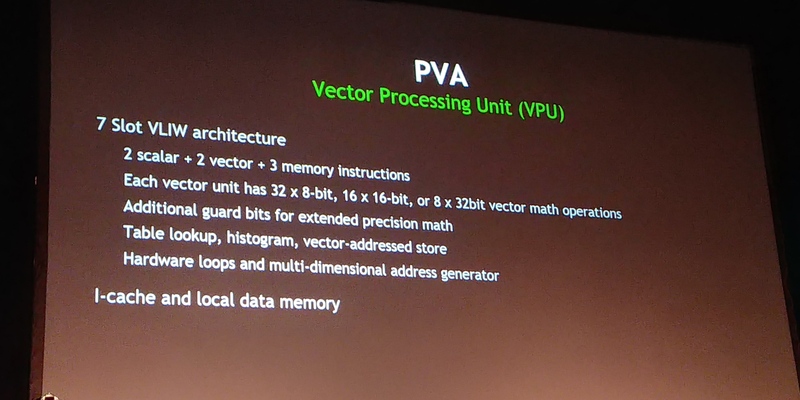 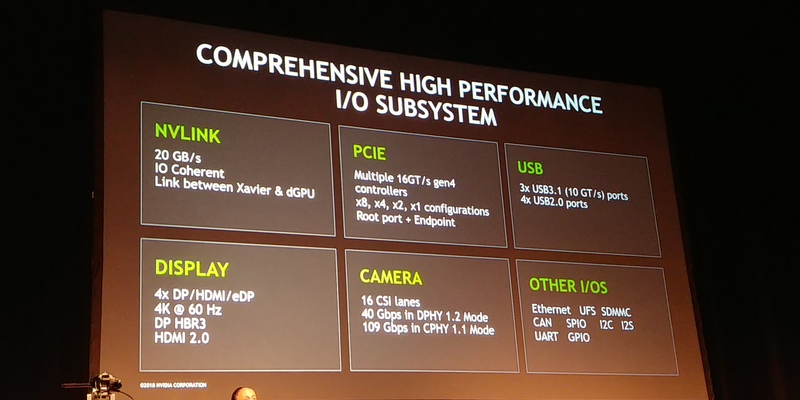 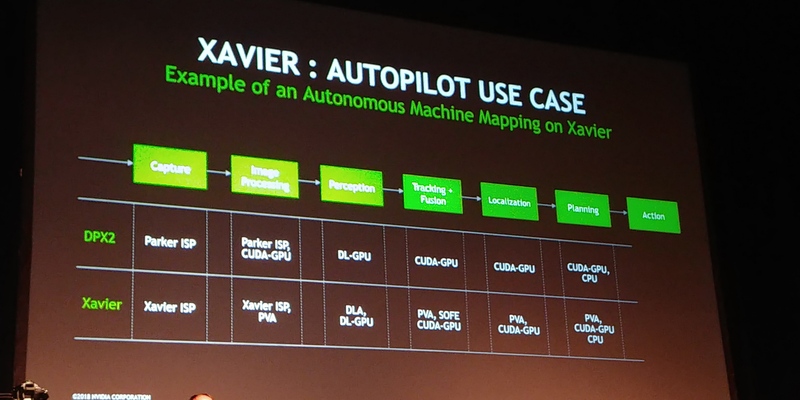 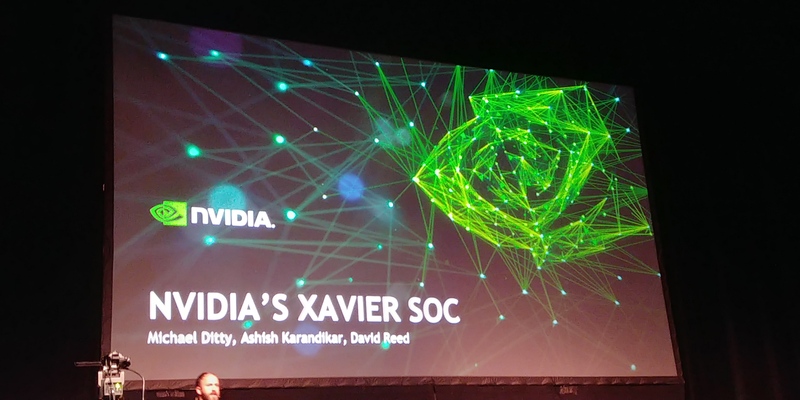 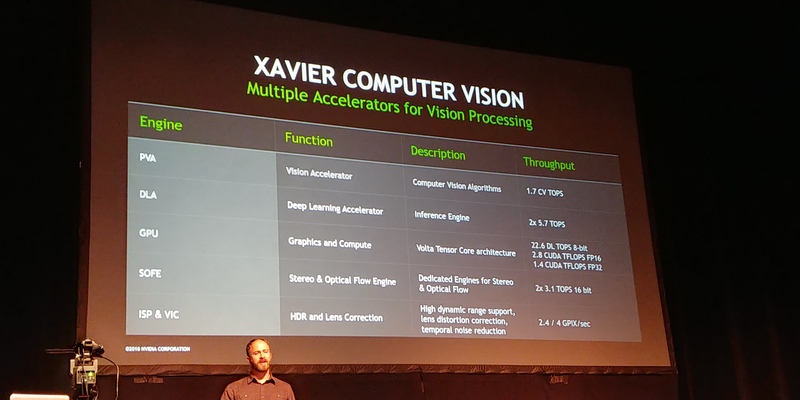 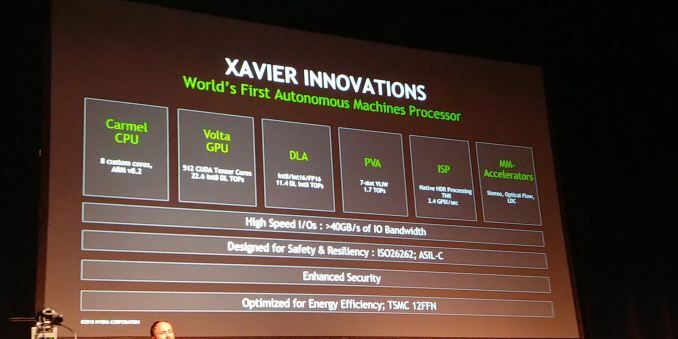 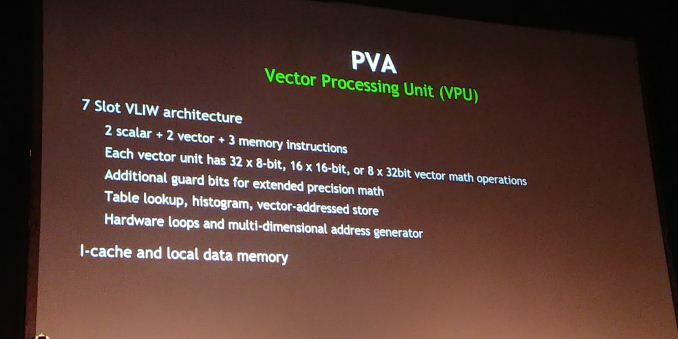 07:55PM EDT - NVIDIA has a couple of talks during Hot Chips, with this first one going into the Xavier SoC. Impressive. 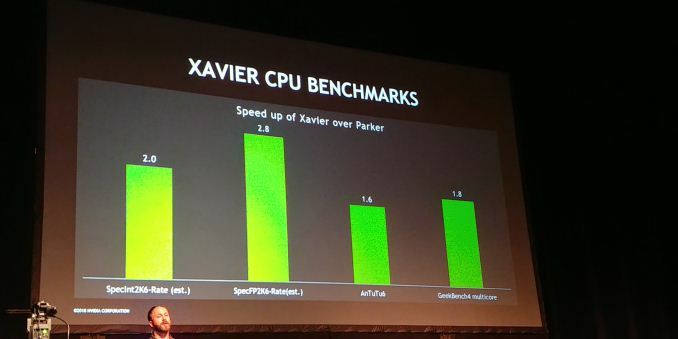 In a 30-minute presentation, they managed to say almost nothing. 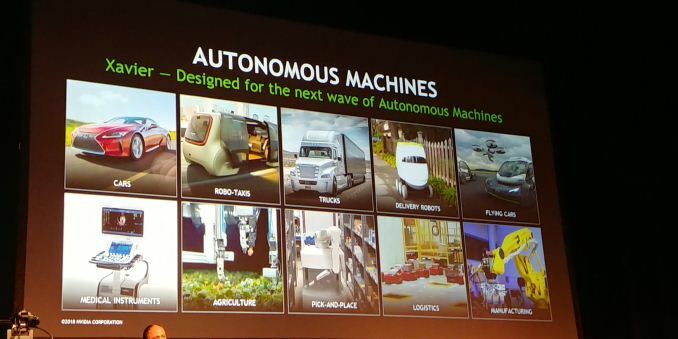 So how many $$$ would this add to a car's BoM? I guess we won't be seeing these in vacuum robots? Drive PX Pegasus actually has a 500W TDP, a frankly insane power draw for any car battery. 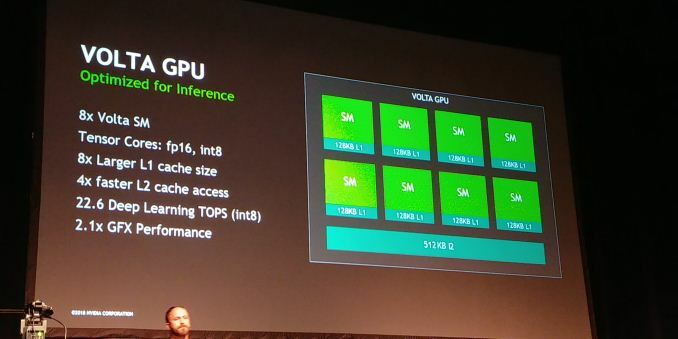 The surplus power draw is due to the 2 "post-Volta GPUs", presumably based on Turing (GT102 I guess), which are *very* big and power hungry. 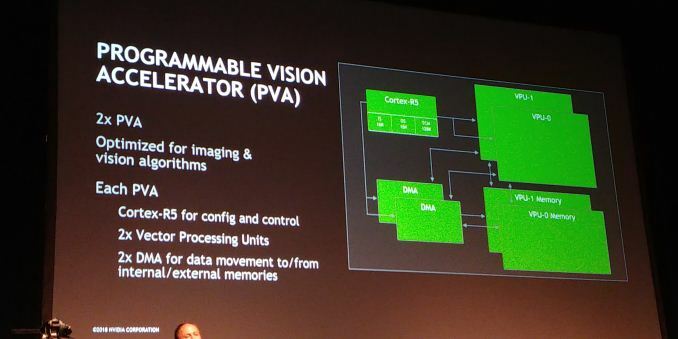 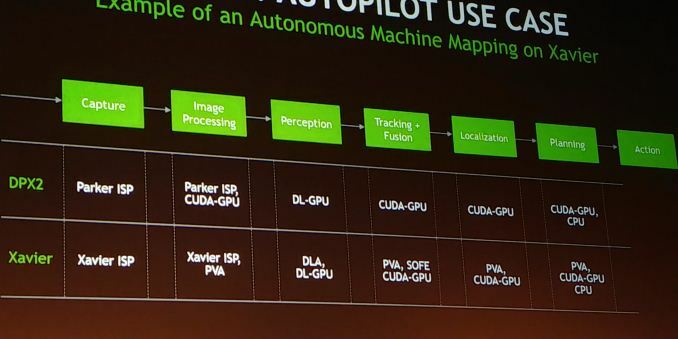 Due to the Pegasus' TDP being unsuitable for anything but self-driving trucks with huge battery packs, Nvidia appears to target it largely at self-driving development and testing rather than commercial deployment.